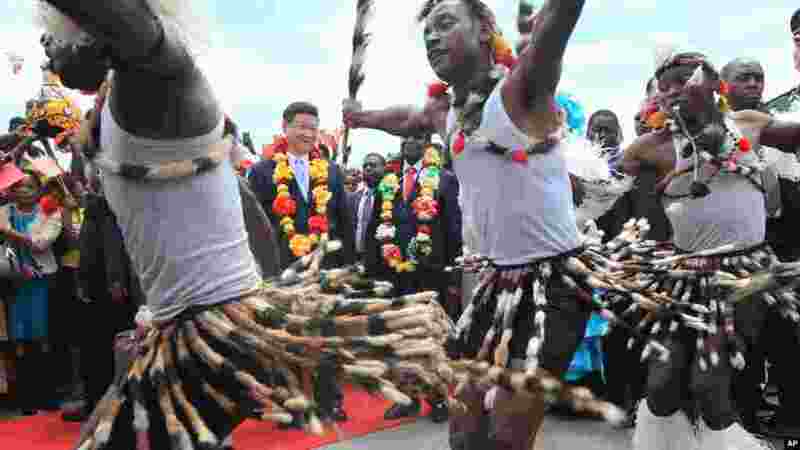 1 Chinese President Xi Jinping, centre, and Zimbabwean President Robert Mugabe, centre right, watch a performance by Zimbabwean traditional dancers upon his arrival in Harare, Zimbabwe, Tuesday, Dec. 1. 2015. Jinping is in Zimbabwe for a two day State visit during which he is set to sign some bilateral agreements aimed at strengthening relationships between the two countries. 2 A woman holds a portrait of Chinese President Xi Jinping while welcoming him in Harare, Zimbabwe, Tuesday, Dec. 1, 2015. 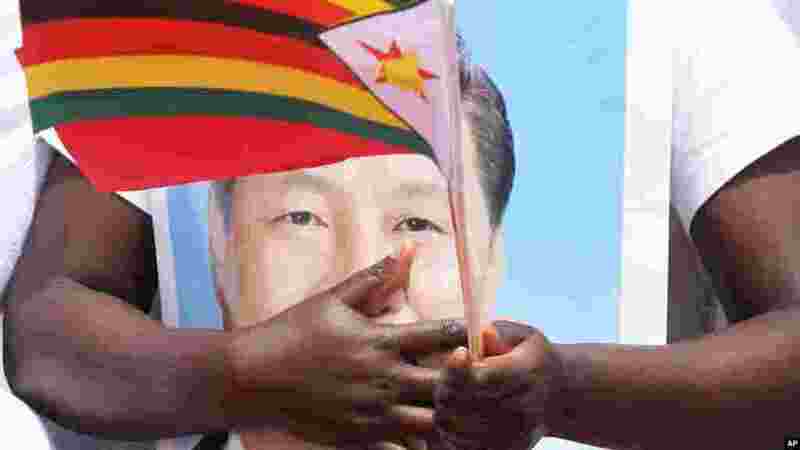 Jinping is in Zimbabwe for a two day State visit during which he is set to sign some bilateral agreements aimed at strengthening relationships between the two countries. 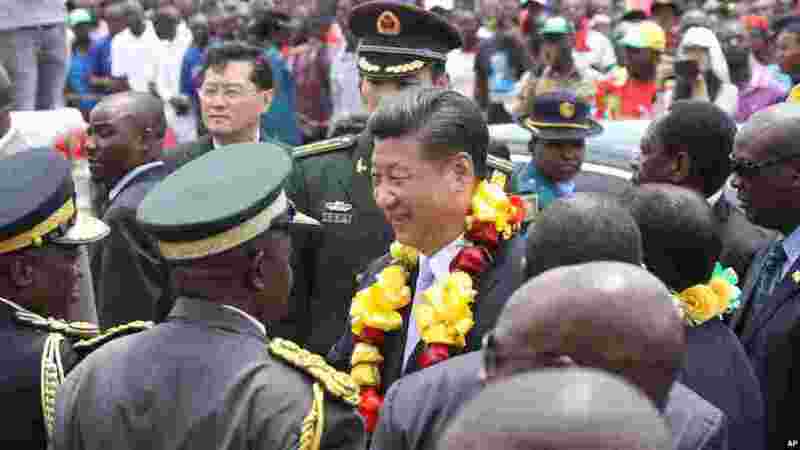 3 Chinese President Xi Jinping, centre, is welcomed upon his arrival in Harare, Zimbabwe, Tuesday, Dec. 1.2015. Jinping is in Zimbabwe for a two day State visit during which he is set to sign some bilateral agreements aimed at strengthening relationships between the two countries. 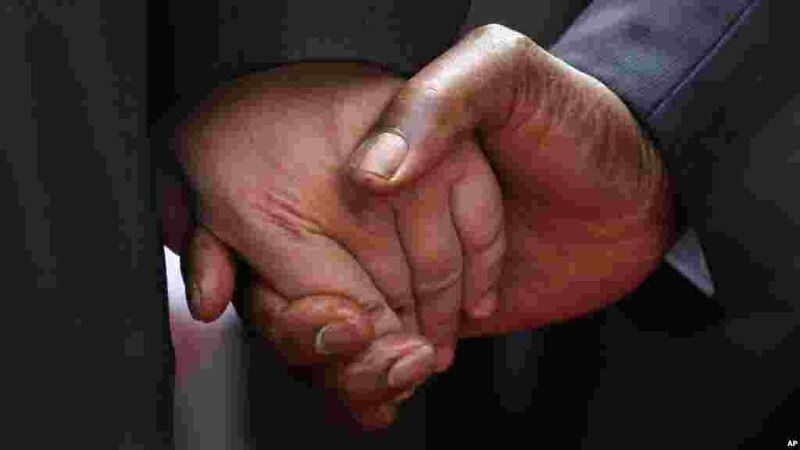 4 The hand of Chinese President Xi Jinping, left, holds the hand of Zimbabwean President Robert Mugabe, upon his arrival in Harare, Zimbabwe, Tuesday, Dec. 1. 2015. Jinping is in Zimbabwe for a two day State visit during which he is set to sign some bilateral agreements aimed at strengthening relationships between the two countries.